Visited the San Juan Islands and spend a day on Orcas Inland. One of the most beautiful places we have visited. 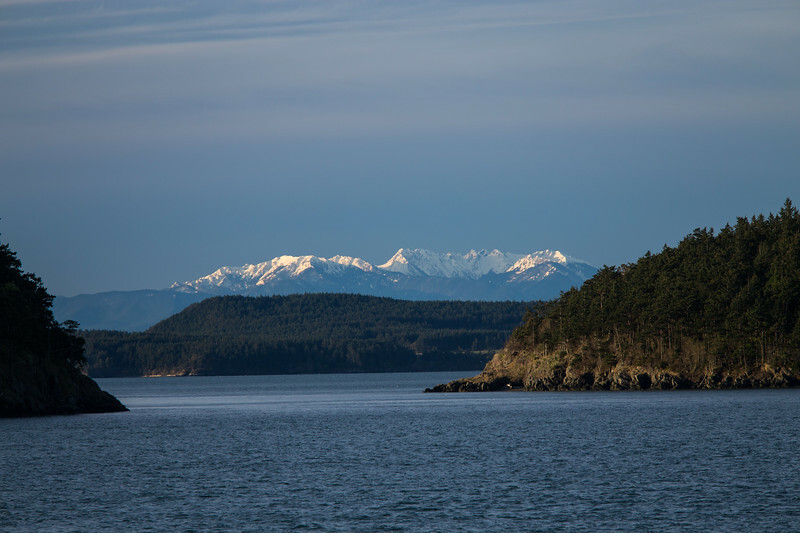 The San Juan Islands are an archipelago in the northwest corner of the contiguous United States between the U.S. mainland and Vancouver Island, British Columbia, Canada. 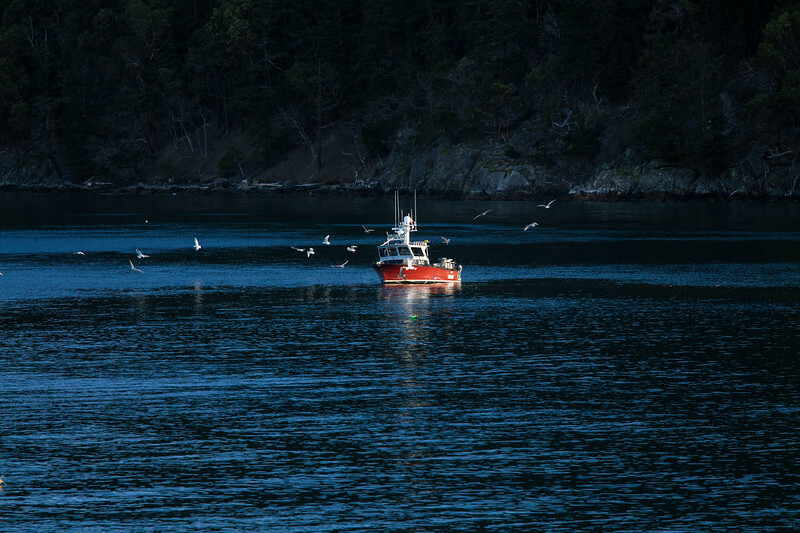 The San Juan Islands are part of the U.S. state of Washington. In the archipelago, four islands are accessible by passenger ferry operated by the Washington State Ferries system. At mean high tide, there are over 400 islands and rocks in the archipelago, 128 of which are named, and over 478 miles (769 km) of shoreline. The majority of the San Juan Islands are quite hilly, with some flat areas and valleys in between, often quite fertile. 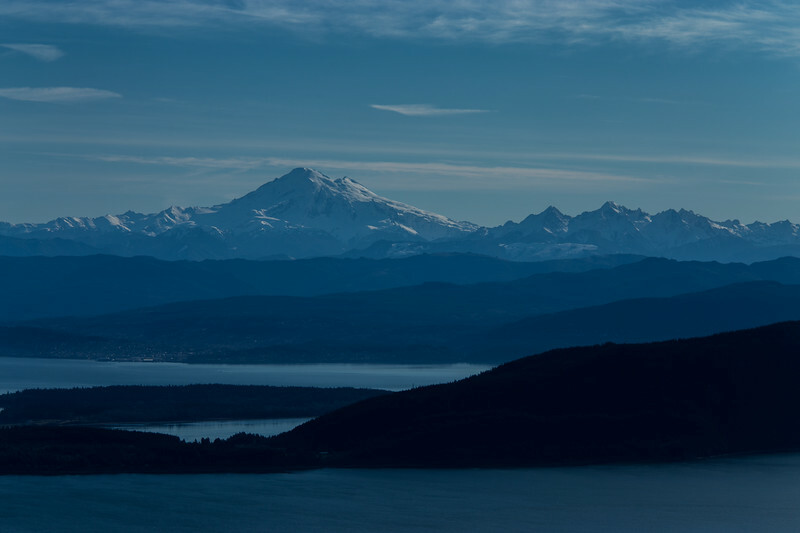 The tallest peak is Mount Constitution, on Orcas Island, at almost exactly a half-mile (800 m) elevation. 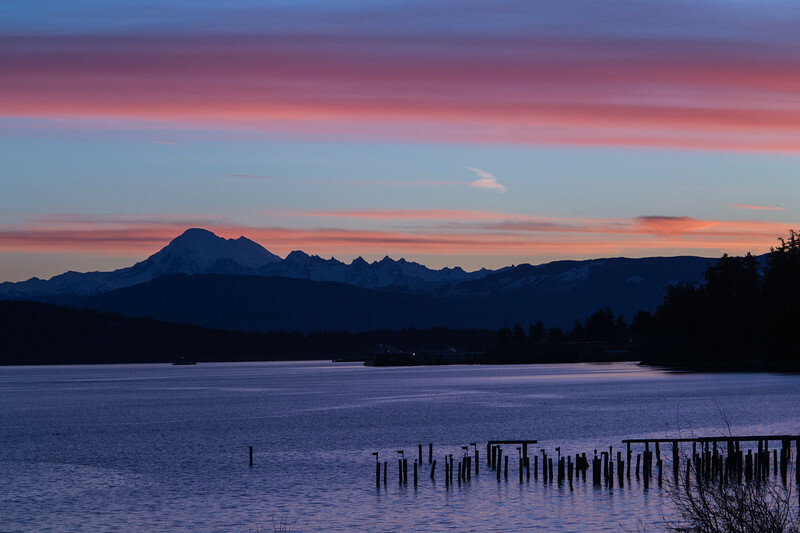 The San Juan Islands get less rainfall than Seattle, about 65 miles (105 km) to the south, due to their location in the rain shadow of the Olympic Mountains to the southwest. Summertime high temperatures are around 70 °F (21 °C), while average wintertime lows are in the high thirties and low forties. Snow is infrequent in winter, except for the higher elevations, but the islands are subject to high winds at times; those from the northeast sometimes bring brief periods of freezing and Arctic-like wind chills. 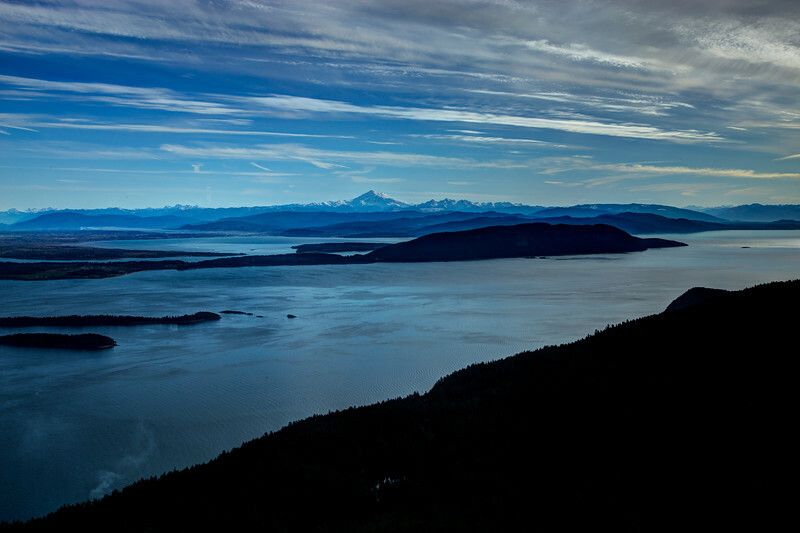 Mount Constitution is a mountain on Orcas Island, and the highest point in the San Juan Islands. A stone observation tower patterned after a medieval watch tower stands at the summit. It was designed by architect Ellsworth Storey and built by the Civilian Conservation Corps in 1936. The tower offers panoramic views of the surrounding islands, the Cascade Mountains, and many Canadian and American cities. On a clear day, the view encompasses locations as diverse as Mount Baker, Mount Rainier, Saturna Island, and the cities of Vancouver, and Victoria, British Columbia. Mount Constitution lies within the 5,000 acres (20.2 km2) Moran State Park.